Scarification is carried out to remove thatch and dead matter from your pitches. The build up of thatch will directly influence the bounce. The bounce can become low and also dangerously inconsistent. Scarification during the season when preparing pitches will help, but the main scarification at the end of season is the one vital to maintaining the quality of play on your pitches. The SISIS 602 also creates the ideal seed bed for end of season renovations. 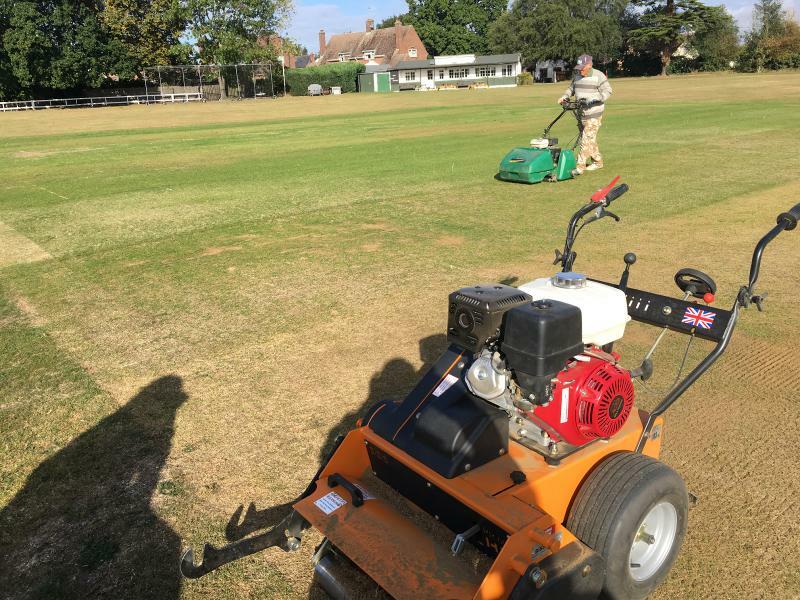 Scarification will also create the ideal seed bed prior to over seeding and top dressing the square during the end of season work. 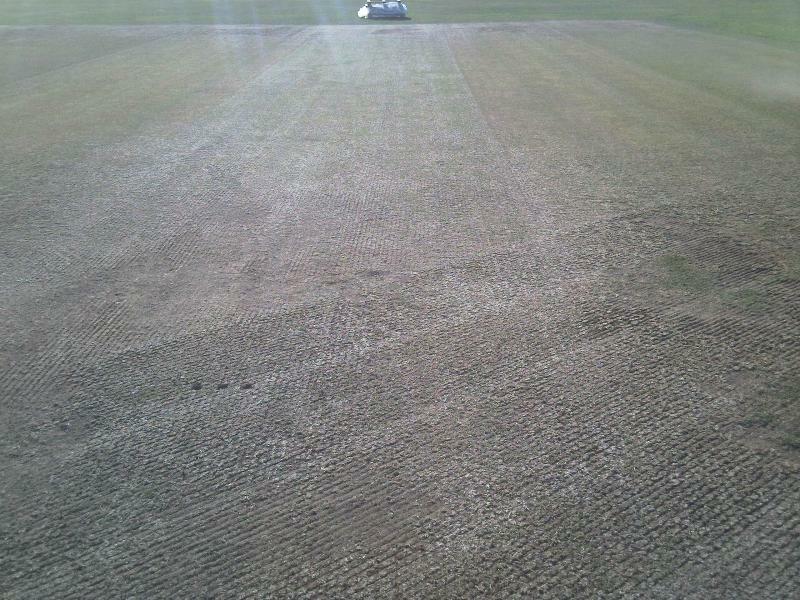 The picture above shows a square part way through scarification with the second pass in progress. 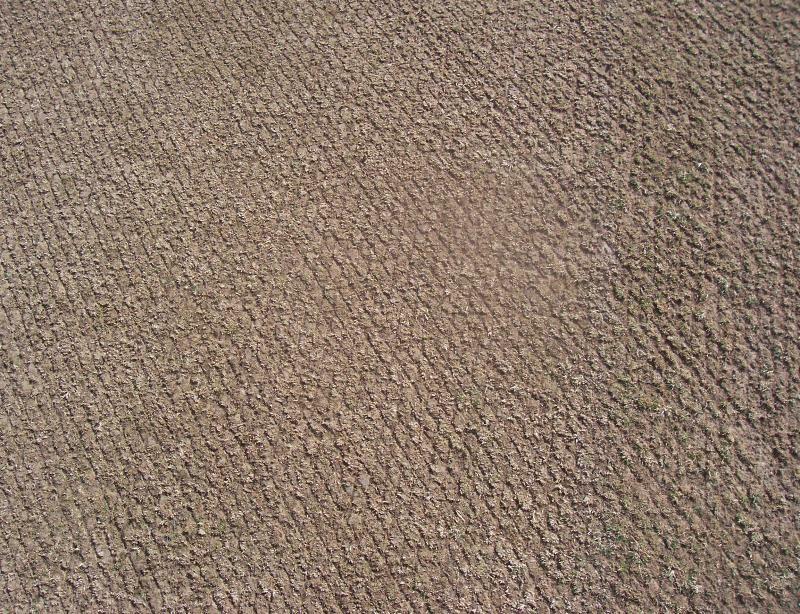 The picture below shows the scarification close up which creates the ideal seed bed.